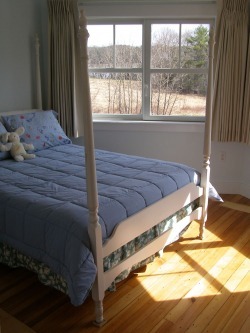 Located in the "Lighthouse Tower" of the B&B. 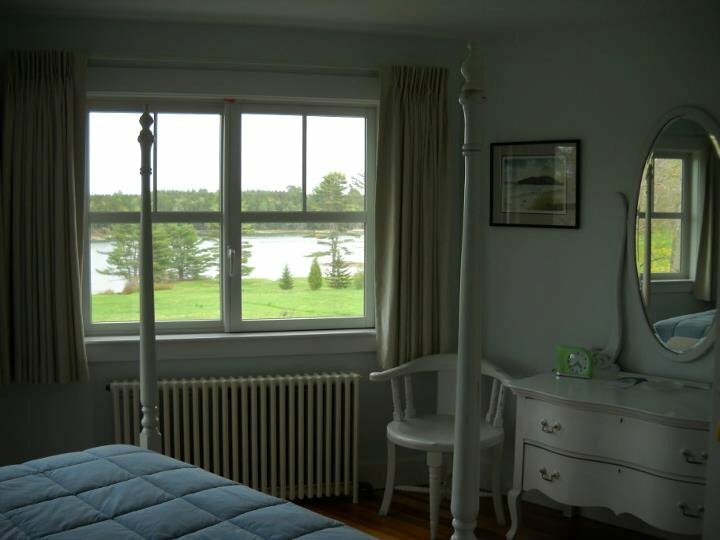 This room boasts a sweeping view of surrounding fields and across the inlet. 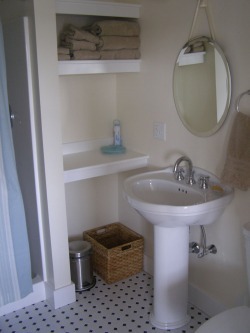 The private bath has a heated tile floor, pedestal sink, and a built-in vanity. The cozy room has a four post bed and matching vanity.